I spent Thursday and Friday (29 & 30 Dec) in Rockmount/Concrete area. I bet my friend and I saw over 250 eagles easily. Usually we make the trip mid-January but glad we went earlier this year. 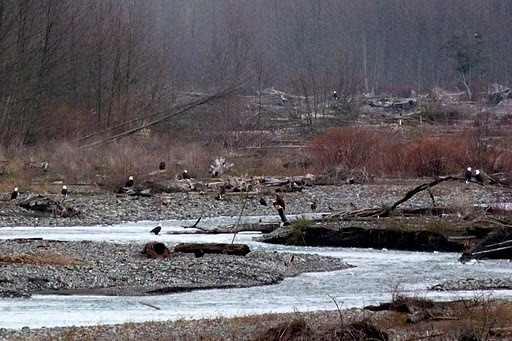 We also took a raft trip on the Skagit River with Pacific Northwest Float and it was well worth it to see eagles. Unfortunately did not see many snow geese this year.